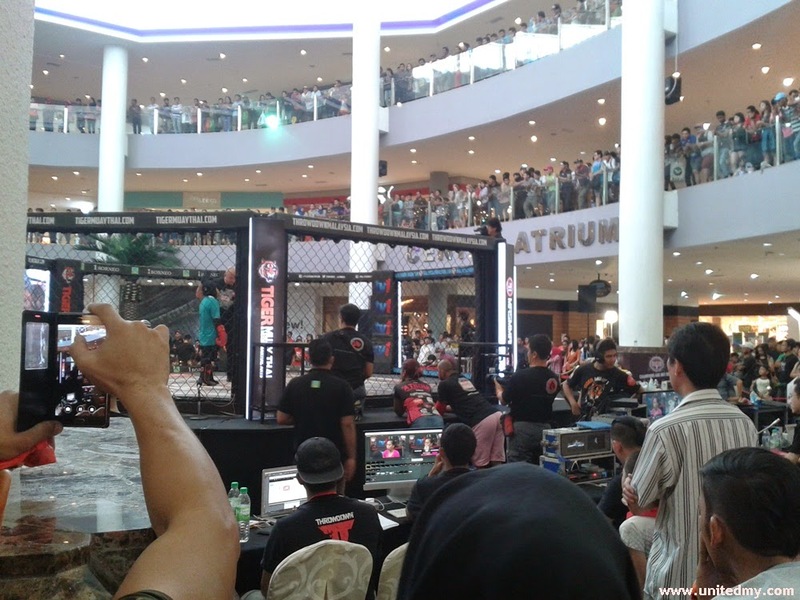 It pretty much not a typical Malaysian routine conversation with their friends about wresting / martial mixed arts. 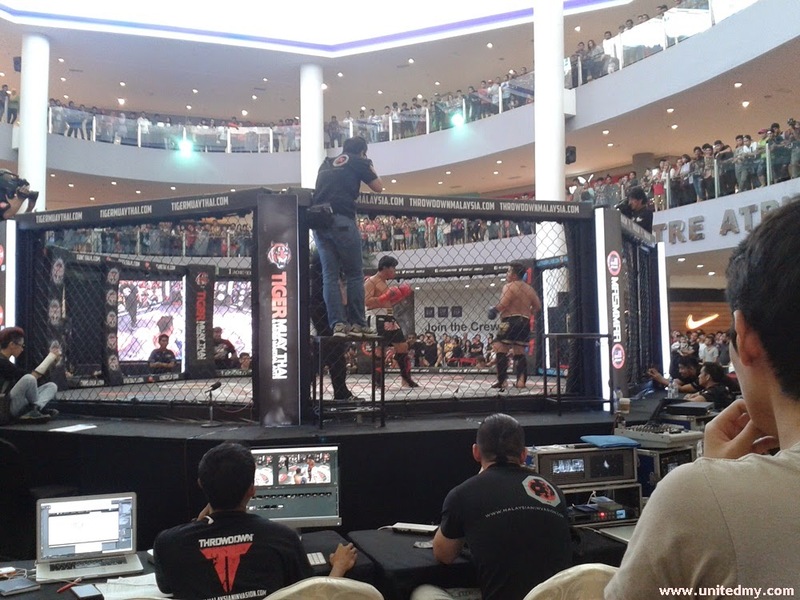 A well-received reception in the Malaysian Invasion Martial Mixed Arts held in 1 Borneo, Kota Kinabalu told a different story. It is emerging of Malaysian passion on this sport. Get ready to watch well-built body be slammed down within the arena. The energetic environment will surely run over your body wishing the person in the arena is you because the feeling is so strong for the need to be beaten up or beat somebody down. Not an usual pin your opponent 1 to 3 in order to win the match by the referee. It more like a match to cheer up the crowd, some fancy finishing move, some continuous punch delivered to a pinned down person. The blue and red spots are designed for the training of the contestants before going into the arena. The chairs covered black are meant for VIP. The high-definition big screen is one of the attraction of this event displaying all kinds of humorous video clips. 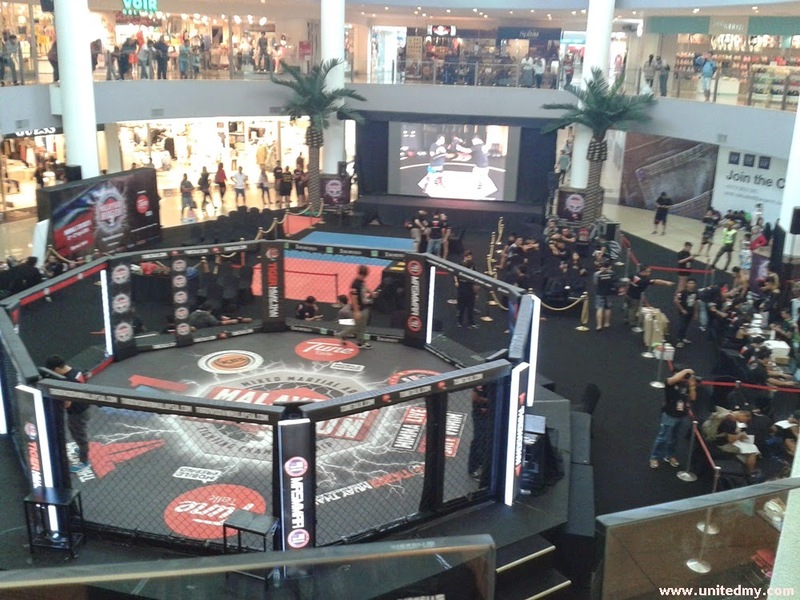 Tunetalk is pretty much a very serious in organizing a mega MIMMA event. Even before the contestants start tearing their shirt off showing some huge muscles and 6 packs or even tattoo if they got one, some local supporters are waiting patiently exciting match. It get a little bit intense as the DJ or speakers started to talk about the event details and promoting their stuff. I was not so sure the amounts of crowd right now. But, as if it was some newspaper reporting, they would literally say 5,000 without hesitation. Phone cameras flashing repeatedly as the contestants walking slowly into the chamber. Did I miss to mention ? Some heavy camera flash congestion happening in the moment when the female contestants walked in to the chamber. The show is pretty eye-catching. 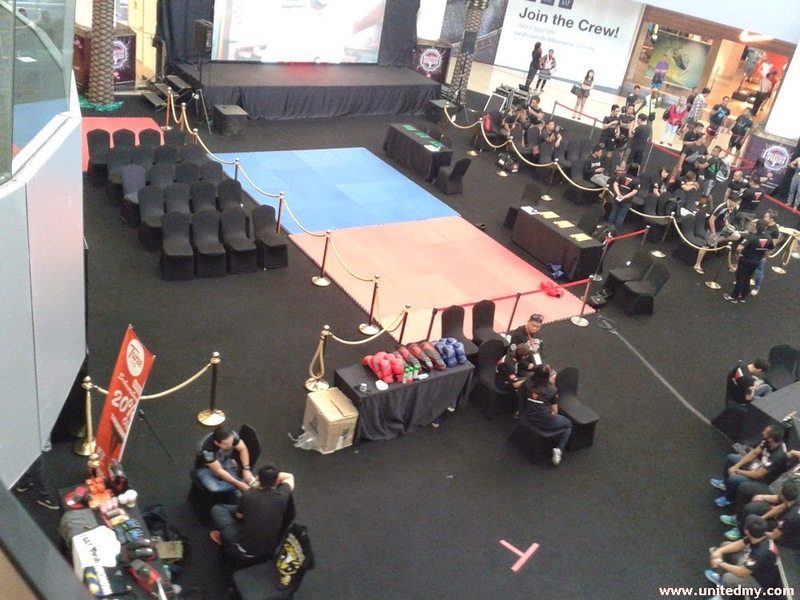 The titles of the matches were female 1 versus 1, male 1 versus 1, heavyweight and lightweight. 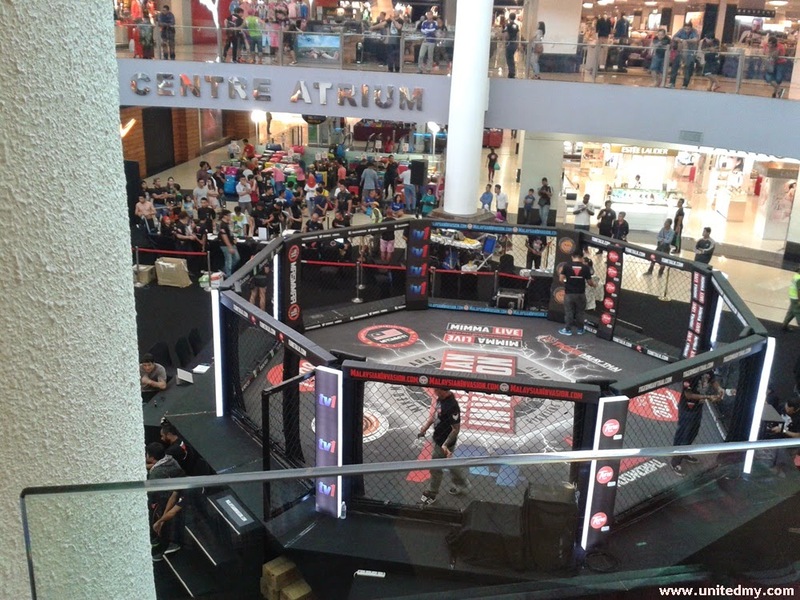 Catch some glimpse upon the MIMMA heavyweight match. As the match started, 3 video recording mans climbed up the edge of chamber tried to record down all the mind-blowing moves delivered by both contestants. The chamber cant hold any longer fury unleashed by them. Both are enduring the heavy punches and lightning-speed kick, the suffering and pain to stand both feet continues the fight till the last bell rings. The sound produced when hard slamming an opponent to the chamber floor is pretty much astonishing. Heard and seen it for the first time in my life in a close proximity.